In six years of existence, FC Goa accounted for two Indian Super League finals and semi-finals and then in their first Super Cup final, they won an elusive first trophy. 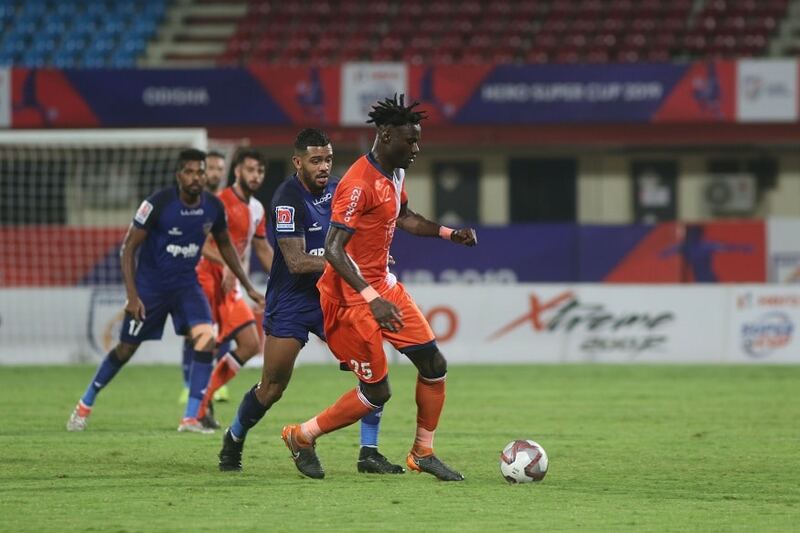 New Delhi: FC Goa were playing their second final in two months on Saturday as they played Chennaiyin FC in the Super Cup 2019 final. And the team required a 64th minute winner from local boy Brandon Fernandes to lift their first silverware in six years of existence. Goa has been one of the hotbeds of Indian football for ages now and FC Goa have mostly been a very competitive side in the Indian Super League, reaching two semi-finals and two finals in 5 years of the competition. Yet the club had no trophy to show for. On Saturday in Bhubaneswar, that story changed. Sergio Lobero-coached FC Goa lifted their first trophy as they beat Chennaiyin FC 2-1, inflict upon Chennaiyin their first defeat in a final. As the final whistle blew and the celebrations began, Goa would have put the ghosts of the ISL final behind, where they lost 1-0 to Bengaluru FC in extra time. In fact, FC Goa’s journey this season has been quite similar to Bengaluru FC’s last season. Last season, Bengaluru FC lost the ISL final to Chennaiyin FC but then went on to win the Super Cup. Goa have forged a similar storyline. FC Goa’s brand of football has been loved by one and all this season. They have run around the pitch, breached defences with ease and have scored buck loads of goals throughout the season. Their goalkeeper, Mohammad Nawaz, has been a star for the team throughout the season. The 19-year-old keeper has been solid and extremely good with his feet, playing a crucial part as Goa’s final man in the defence. Another player to have shone bright in their defence has been Mourtada Fall. The Senegalese defender has been a giant for FC Goa. His clearances, his blocks and just his presence at the back has been supreme for the Goan club this season. Edu Bedia, Lenny Rodrigues, Jackichand Singh and Brandon Fernandes have been a menace for the oppositions in the midfield. Jackichand Singh has had a sensational season and his speed and skills has been a constant threat for teams and has actually helped Goa build a lot. Brandon Fernandes, on the other hand, has been one of the biggest stars of this team. In 34 appearances for Goa since 2017, Brandon has found the back of the net four times and his speed and accuracy up front has helped Ferran Corominas also perform better. About Corominas, the less said the better. Since joining Goa in 2017, Corominas has been their frontline attack. In 40 appearances for the club, Coro has scored 34 times and his goals are one of the major reasons for the success of this group. Commentators said ahead of the match and during the game that this was Goa’s final to lose and they did not. Despite being the favourites, Goa started on the backfoot with Chennaiyin taking control of the midfield through Rafael Augusto, Anirudh Thapa and Dhanpal Ganesh. When Chennaiyin put all the pressure, it were Fall and Nawaz that kept Goa afloat with the former’s defence and Nawaz’s stops. Goa only grew into the match slowly but as they grew, they looked more and more likely to find the back of the net. The first half ended at 0-0 even though Chennaiyin had ample shots at target. 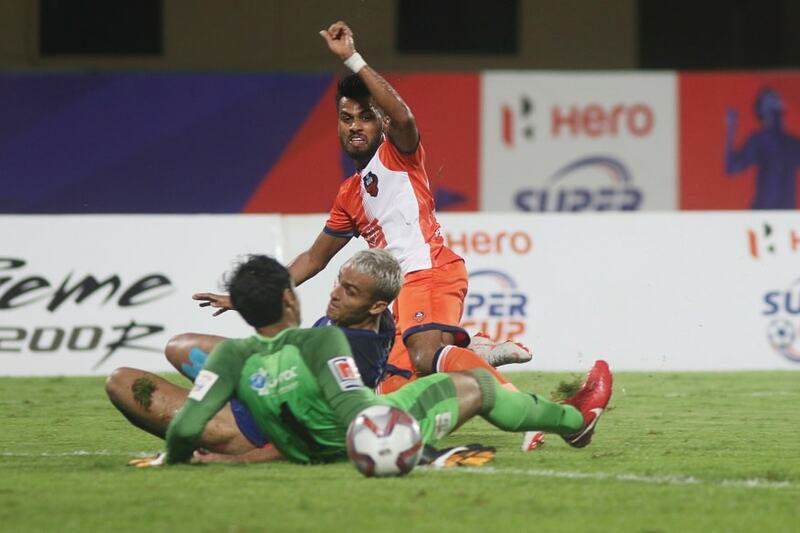 The Chennai outfit were unable to make the most of their chances and the pressure they put on Goa. Having absorbed all the pressure, Goa took the lead through Coro in the 51st minute. After Thapa cheaply gave the ball away near the halfway line, Boumous drove towards Chenaiyin’s goal, before forcing Karanjit to make a save. However, the rebound fell perfectly to the Spaniard, who had the simple task of tapping the ball home. A #HeroSuperCup final worth remembering! Chennaiyin though did not get bogged down with Goa taking the lead and instead shot right back in three minutes’ time. Raphael Augusto pounced on a loose ball just outside the box, firing a shot which took a massive deflection to deceive Nawaz. The winger was quick on his feet as he beat Mailson Alves and Karanjit to slide the ball home and just like that, the locak boy was the hero.